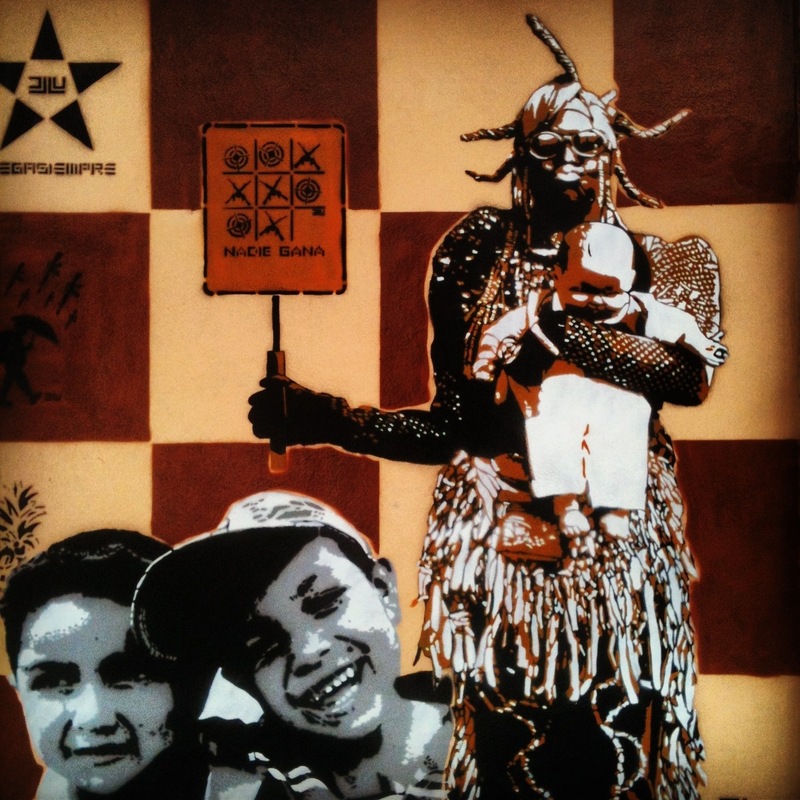 Colombia is a very colourful country – in every sense of the word – and this is reflected in the street art that decorates the walls of many inner city buildings. 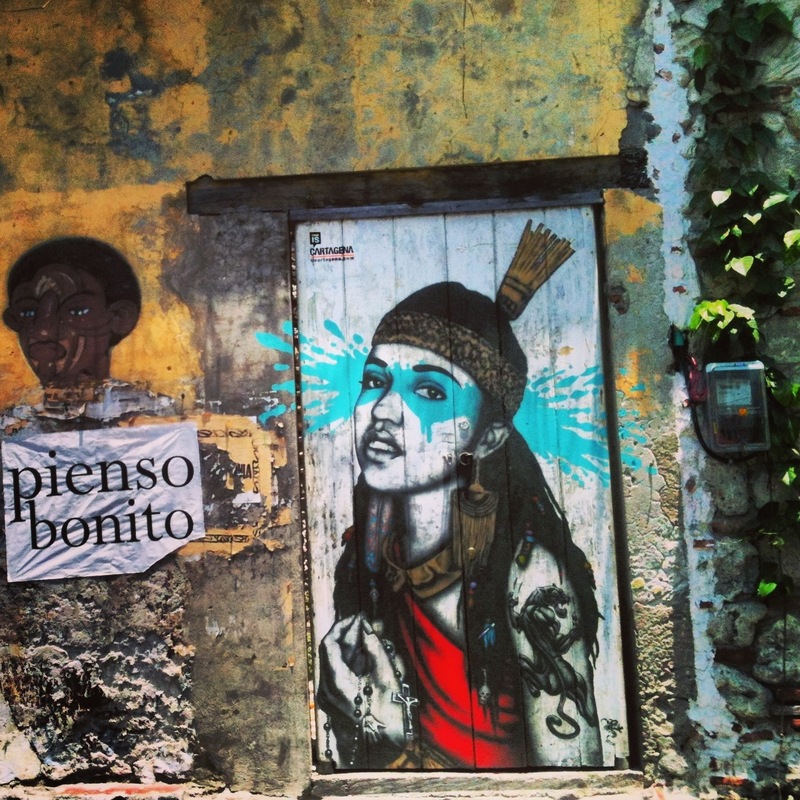 This painting was on an old door in a small square in Cartagena’s old town, a few minutes walk from the walled city. The bright colours and strong defining lines make this image all the more powerful. 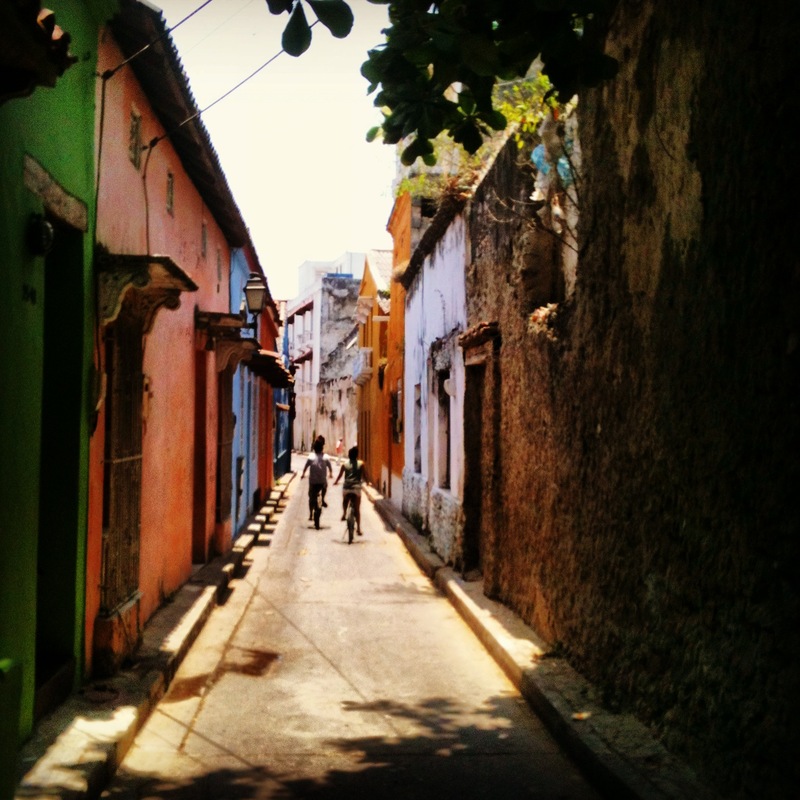 Two cyclists in a street in Cartagena on Colombia’s Caribbean coast. 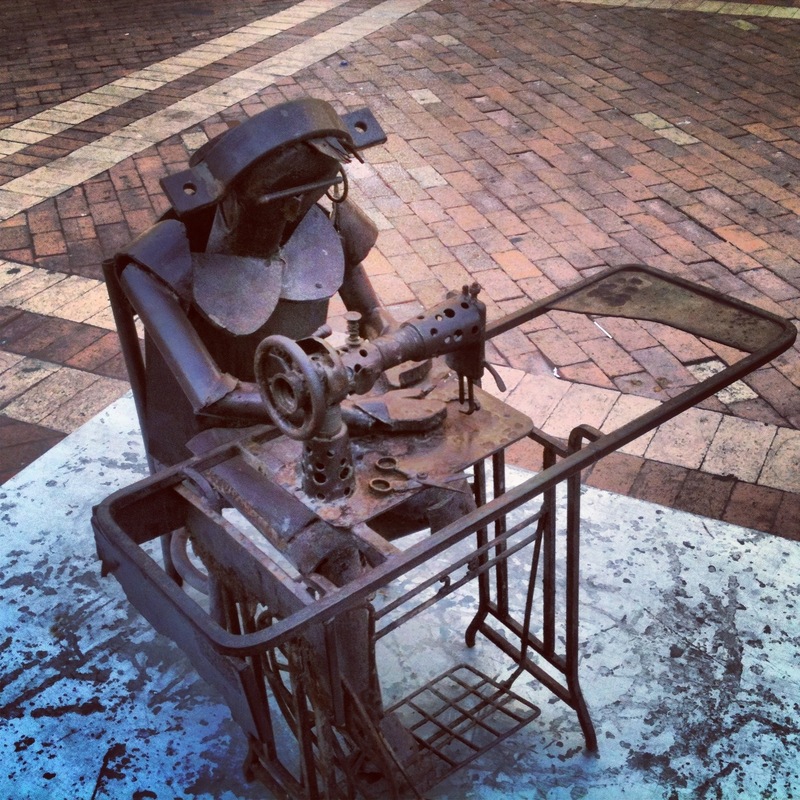 Photo courtesy of Natasha Mellersh. I recently visited Colombia and was amazed at the astounding beauty of the country. It’s huge, diverse culturally, ethically and geographically it connects Central and South America. One side of the country is on the Pacific Coast, the other on the Caribbean and the climate seems to change dramatically depending where you go. 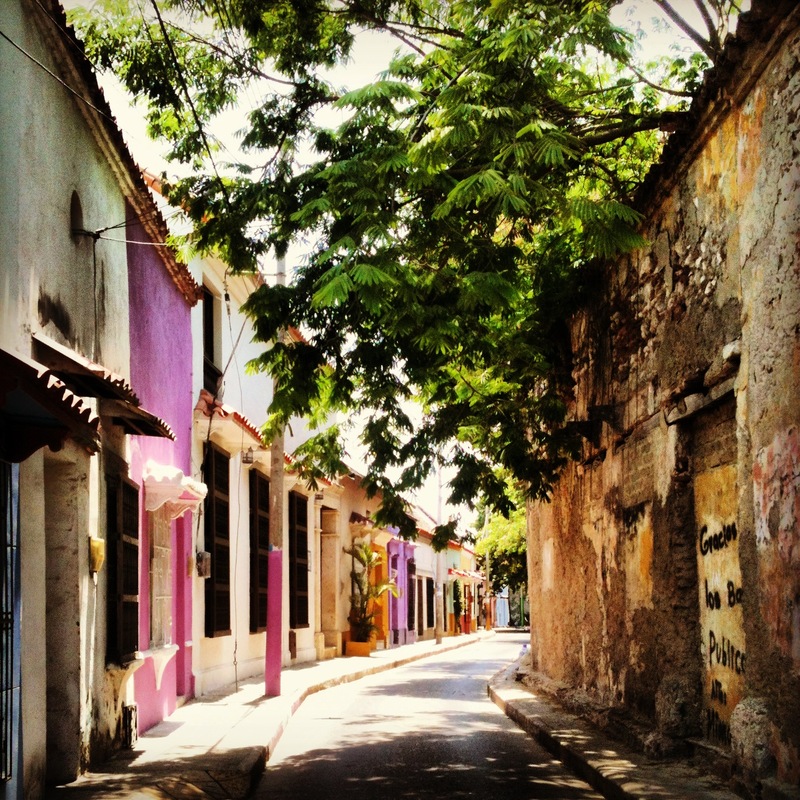 A street in Cartagena. Photo courtesy of Natasha Mellersh. What struck me as soon as I arrived, apart from the people being incredibly lovely and welcoming, was the old colonial architecture. The adobe style houses are prevalent in the old towns of many Colombian cities. 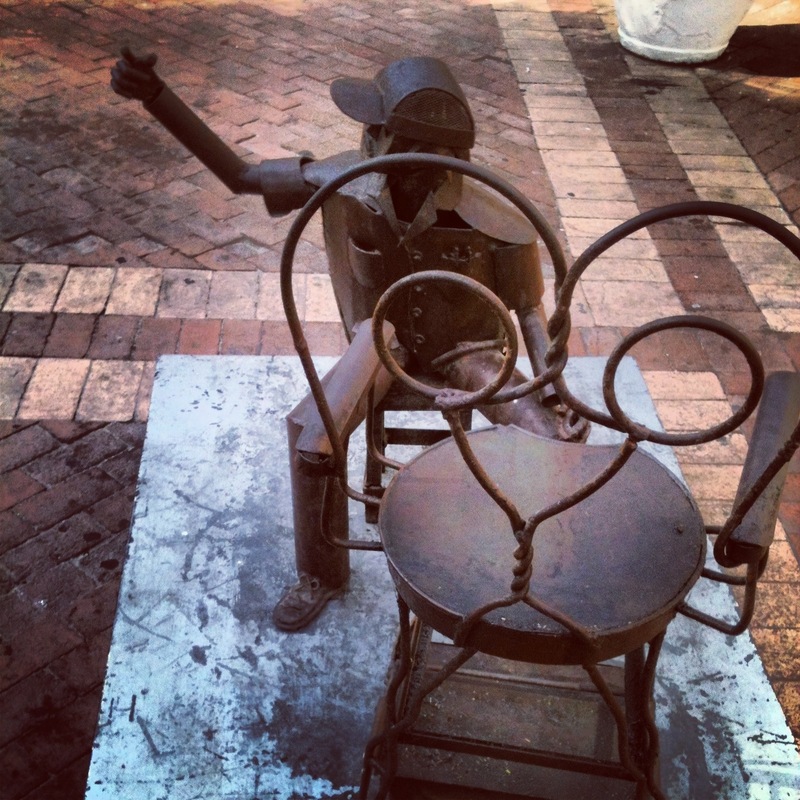 Built in the typical Spanish style, they ooze character and simplicity. The thing that separates them from European buildings however is their vibrant colour. 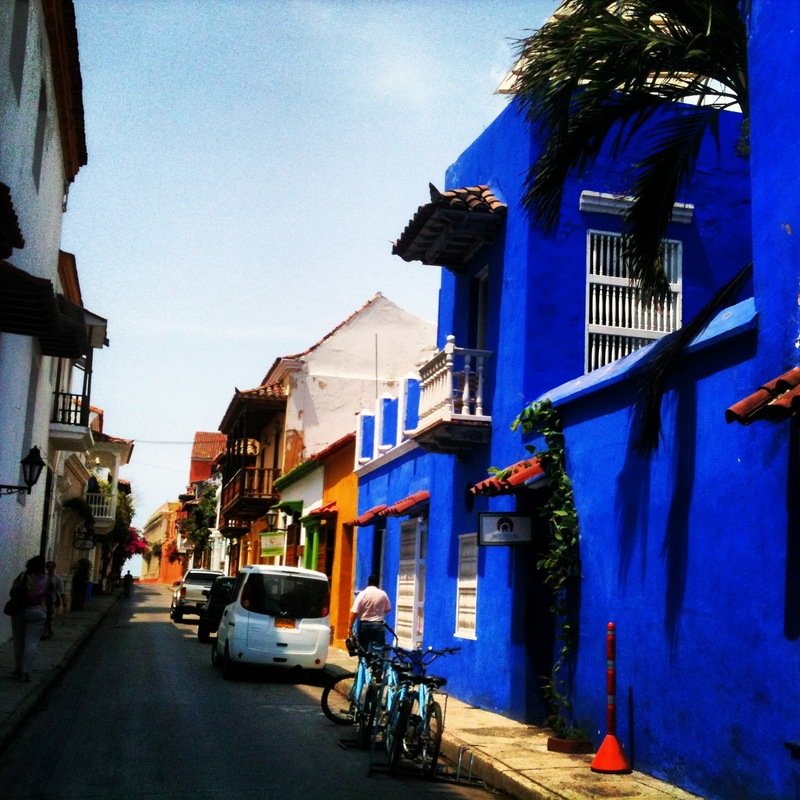 Walking through the gorgeous streets of Cartagena’s old walled city, I was blinded by bright blues, pinks, neon greens and orange. The abundant green creeper plants blossoming in pink and violet only added to the mix. 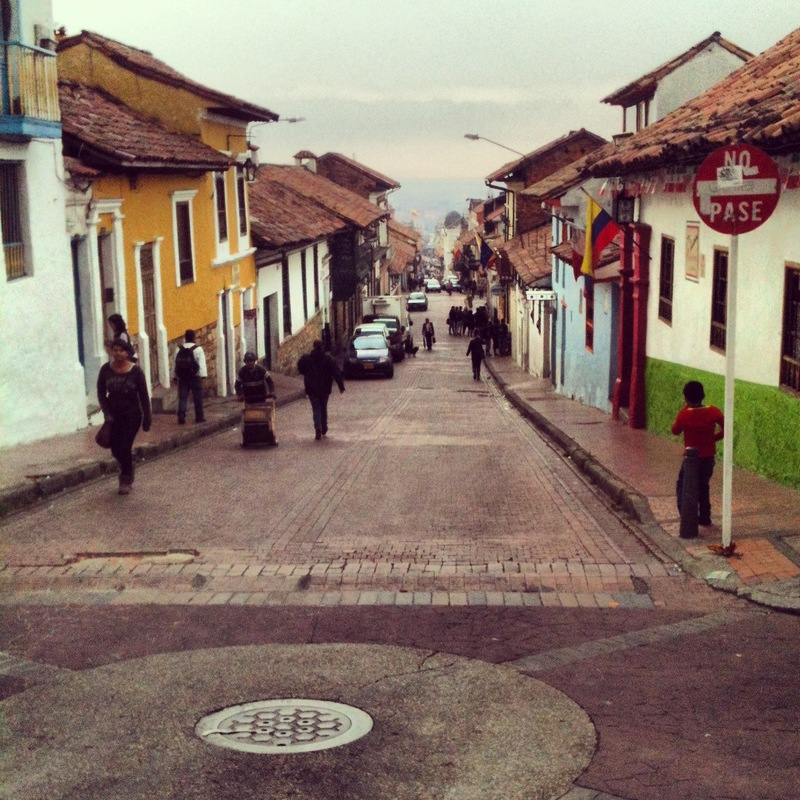 A street in La Candelaria in Bogota. Photo courtesy of Natasha Mellersh. 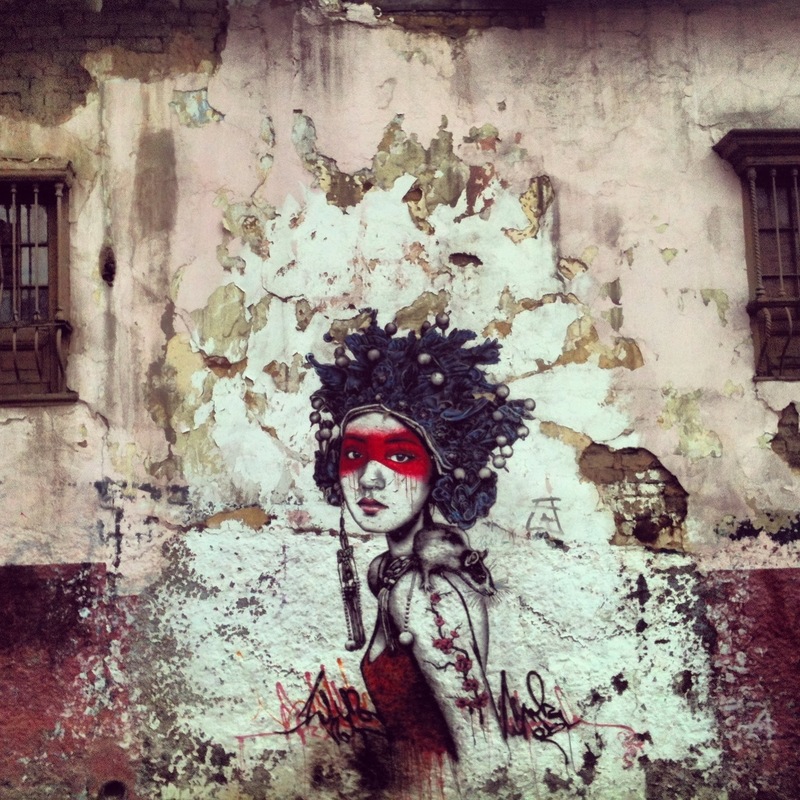 In Bogota, among the low hanging clouds and the towering lush green mountains, the old town – La Candelaria is filled with street art and colour. 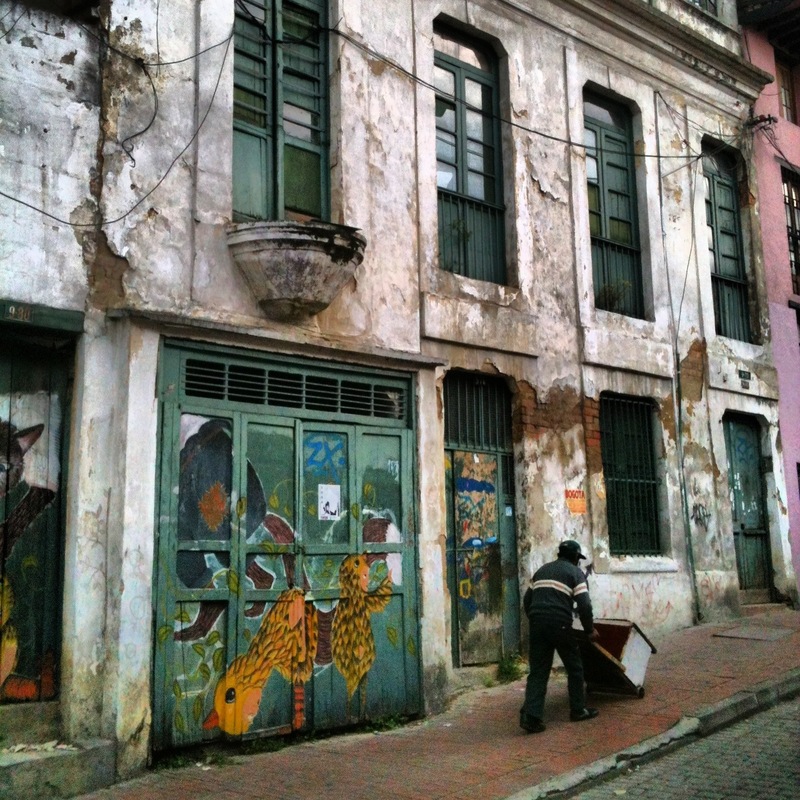 The city is gigantic but wandering through the little cobbled streets of La Candelaria you would hardly realise. Old churches and small cottage style adobe houses create an atmosphere which feels a lot more like a village than a city of 10 million. 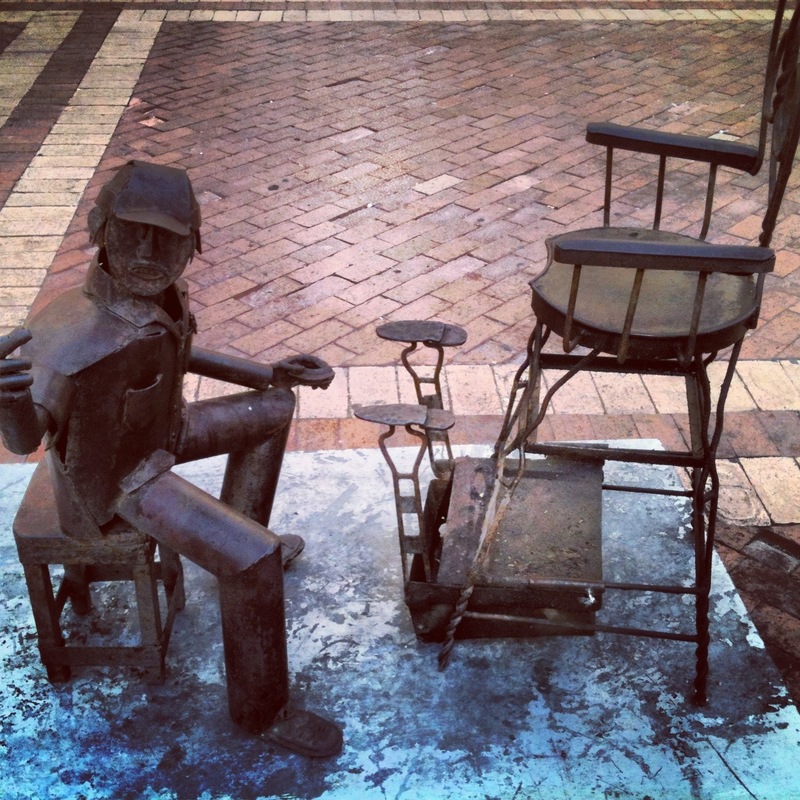 The colours and street art show that creativity and art is rife in this amazing city. 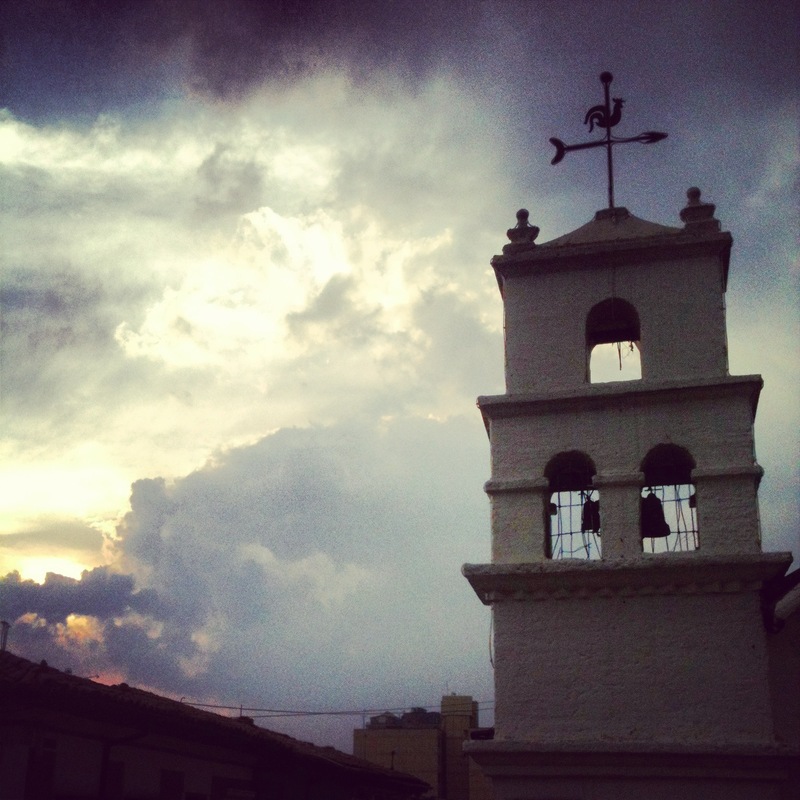 An old church in La Candelaria. Photo courtesy of Natasha Mellersh. Going there for a holiday simply wasn’t enough, I realised it would take several visits and a number of months to get a real feel for this beautiful country. So I decided I would have to come back. 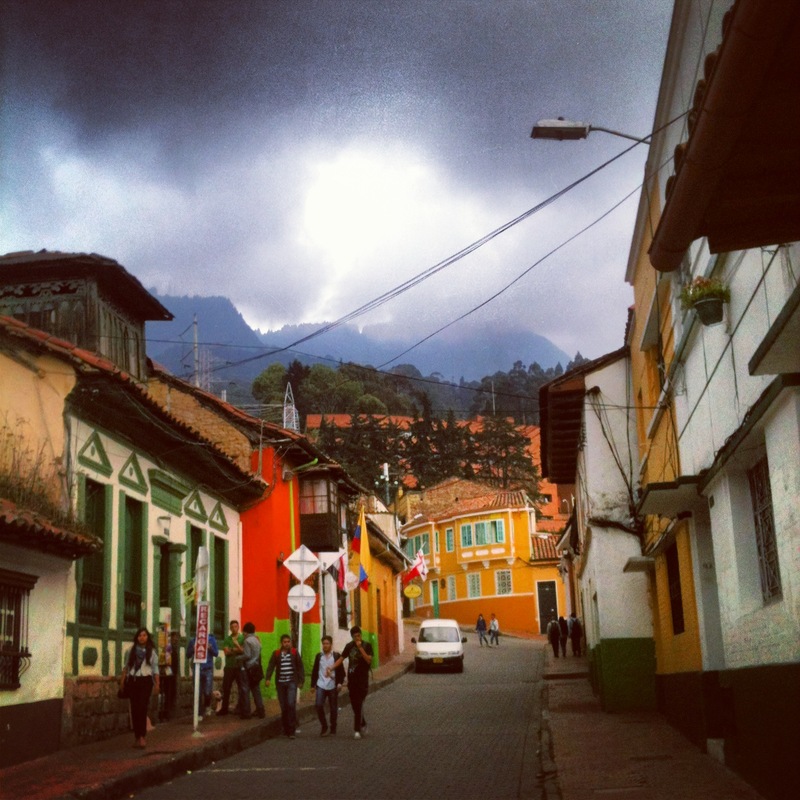 A street in La Candelaria. Photo courtesy of Natasha Mellersh.